This white jumper is made in a solid tuck stitch with ribbed sleeves. Knitted in wool and cashmere it is warm enough to wear as a jacket. 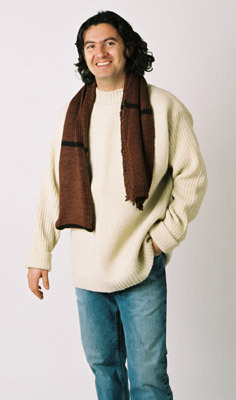 The striped scarf is made in silky-soft Blue-faced Leicester wool.